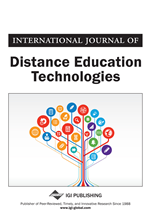 In this paper we present the evolution of a collaborative courseware generating system that is featured by XML-based course structure representation, JSP-based dynamic courseware presentation, and WebDAV-based collaborative courseware authoring. While the first system implementation employs a proprietary design using a self-defined XML DTD to represent the course structure, the second and the third system implementation take an open-standard-oriented approach, which are respectively SCORM 1.1 and SCORM 1.2 conformant. In the latter two implementations, all learning resources contained in an existing Java course are re-designed according to the SCORM 1.1 and SCORM 1.2 Content Model and further annotated with corresponding SCORM metadata. In addition, the course structure is re-constructed utilizing SCORM 1.1 Content Structure Format and SCORM 1.2 Content Packaging Specification. The evolution of the collaborative courseware generating system is motivated by our efforts to improve the reusability and interoperability of learning resources.